So, you’re thinking about coming to Ocean City? I don’t blame you, it’s a great place to be! Award-winning food, breathtaking views, and world-class accommodations. You’re ready to find your room so you jump on your computer and get your search on. A quick “best rates in ocean city” search and you got yourself a handful of results. Just 17,700,000…shouldn’t take too long to find the best rate, right? Well, what if I told you that you didn’t have to spend hours on end finding the “best rates in ocean city”? I’m sure you’d be pretty happy! See, the secret is more obvious than most think…it’s the hotel! That’s right, the place you’re planning to spend your much earned vacation is indeed the place to find the best rate, guaranteed! It’s tough, I get it, but hopefully after reading this mini-series, you’ll feel more comfortable making the right decision (spoiler: booking direct is the way to go). 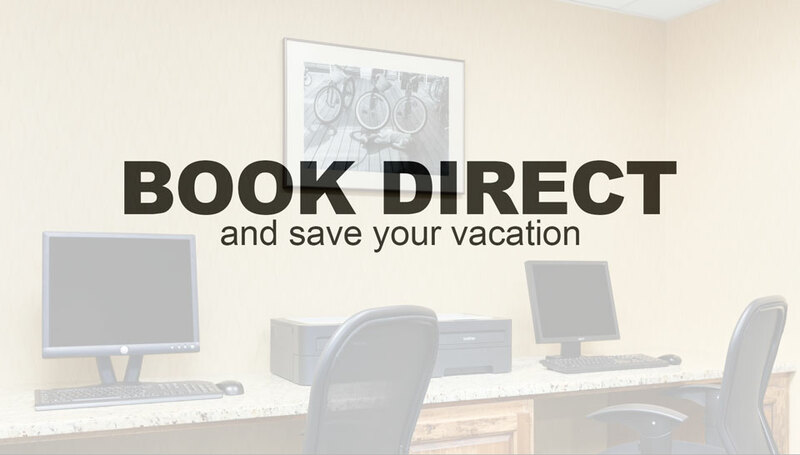 In this series we will go into detail about how booking direct can save you time, money, and even save your vacation. After reading each part of the series (or after you’ve read the entire series), I encourage you to head on over to our Facebook page (click here) and ask any questions that you might want answered. I’d love to hear what you folks are curious about. Who knows, it might even be a subject for a future blog post! But before we get started, I just want hit you with, as my boss likes to say, “just the facts, ma’am”. ▪	Flexibility - with rates, with room types, with customization. Booking direct with a hotel offers you the greatest amount of flexibility if something were to change or need to be updated with your reservation. It happens at the property, not at some call center in Kansas. ▪	Accuracy - our official sites offer the most comprehensive and accurate depiction of the hotel. We do our best to keep PediaBookTravelBitz’s information accurate, but we can’t always ensure what they say is right. Most of the times it’s minor issues, but it can easily be as big as someone accidentally booking the wrong room type because it’s misrepresented. ▪	Price - this is the reason people book on the other sites, right? Well, those sites get their rates from the hotel. They can’t actually offer a rate lower than the hotel, so there’s no possible way to save money using PediaBookTravelBitz. Price differences and the reasons behind it are explained thoroughly in the mini-series. ▪	Customer Service - as mentioned above, when you book on PediaBookTravelBitz you’re going to speak with someone at a call center, or read a page on their site populated by someone who’s probably never been to Ocean City. Dealing with the hotel directly you get the right answers from someone who is at the property. Now that we got that out of the way, what do you say we get this party started? First, the PediaBookTravelBitz site get their rates from? You guessed it, the hotel. Now, I would love to be able to go into a restaurant and say “your menu says this price, but I actually think it should be this lower amount”. That’s how it would be if PediaBookTravelBitz actually offered lowered rates. We would tell them our room is $100 and they would tell everyone else they actually think it’s worth $80. It just doesn’t work that way. What we say the rate should be is exactly what they have to offer. Also, the rates are supplied in advance, sometimes months before the date you’re trying to book. So, there’s even a chance that the rate you see on their site could be more than the current rate at the hotel. Second, we live in a world where the fine-print keeps getting smaller but the consequences get bigger. That’s usually the difference between PediaBookTravelBitz and the hotel’s rate. Most of the time PediaBookTravelBitz’s rate comes with a no cancellation, no changes, no nothing, full payment at the time of booking policy. You pay less but you take the risk of losing hundreds of dollars in the off chance that you can’t make your trip. And trust me, if you do have to cancel that trip for a perfectly valid reason, good luck trying to get your money back. After spending an hour or so on the phone getting bounced around you’ll end up hearing that you agreed to a no cancellation policy and your funds won’t be refunded. Now, the cool thing is, these low price/high risk rates you see online are available to you directly from the hotel. They’re usually labeled “book early and save” or “advanced purchase” and they do offer a good discount, but come with the no cancellation policy. A lot of times these aren’t advertised online because that kind of policy isn’t beneficial to a customer without being conveyed to them directly. Instead, most hotels advertise their rates with the typical one-night deposit and 72 hour cancellation policy. But let’s say you do book a non-refundable rate and something happens and you can’t make it, since you booked directly with the hotel you would give them a call and immediately speak with someone on-site and have a much better chance of getting your money refunded. Thrilling stuff, isn’t it? That’s all I have for you today, but keep an eye out tomorrow for the second part of the mini-series. And, as I mentioned above, head on over to our Facebook page (click here) and comment on the post about this blog with any questions you might have. I would be happy to answer them for you.